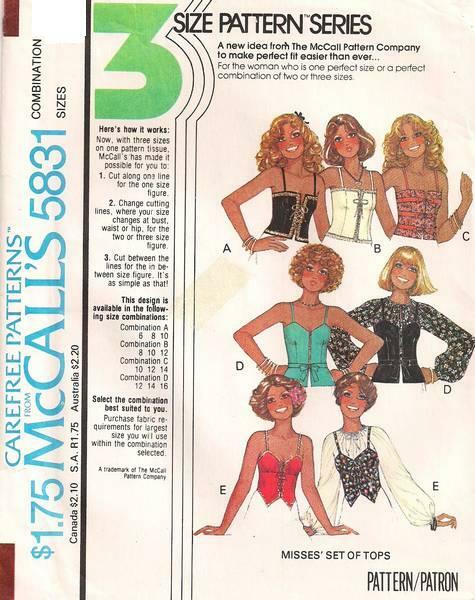 Tops with shoulder straps and variations for peplum, tie belt, cording and lacing. Size 12, 14 and 16 are included. Bust 34, 36 and 38. Waist 26.5, 28 and 30.